A lot of the debate about fired Google memo writer James Damore has centered around his views, the science he cited, and whether or not he deserved to get fired. But what’s been largely ignored is how women within Google felt and his reaction to that. In an interview with Business Insider, Damore says he wasn’t trying to attack women, but fix what he views as a broken culture within Google. He didn’t express remorse for what he wrote, and went back to his point that he was fired for his conservative views, not the fact that he violated Google’s code of conduct for making assumptions about women, as CEO Sundar Pichai said. You can watch the full interview above or read the lightly edited transcript here. Steve Kovach: So there’s been a lot of debate and discussion about this. And instead of asking you the same questions you’ve been asked probably a thousand times before, I wanted to focus more on the reason why, at least from Google’s perspective, you were fired. And also the impact it had on some of your former colleagues. I’ve spoken to numerous people within the company, and one thing I keep hearing from your former female colleagues is they felt attacked by a lot of what was written in that memo. How would you respond to the women at Google who did feel attacked by what you wrote? James Damore: Obviously, no one should feel attacked. I was simply trying to fix the culture in many ways. And really help a lot of people who are currently marginalized at Google by pointing out these huge biases that we have in this monolithic culture where anyone with a dissenting view can’t even express themselves. Really, it’s like being gay in the 1950s. These conservatives have to stay in the closet and have to mask who they really are. And that’s a huge problem because there’s open discrimination against anyone who comes out of closet as a conservative. Kovach: I don’t think that’s why women particularly felt attacked. They felt attacked by some of the assumptions you were making. We won’t really get into a discussion about whether the science you cited was valid or not, but they didn’t feel attacked because you’re conservative. They felt attacked because of the assumptions you were claiming about women. What do you have to say about that? Damore: I was simply talking about the population level distributions. And I specifically call out that we should never treat an individual differently based on this because there’s so much overlap. The document was simply trying to address why there may be fewer women in technology than men. And it never said anything about the women at Google being any different than the men at Google. Kovach: Not at Google. But broadly it made assumptions about women as a general population though, right? Damore: It didn’t make assumptions. It stated scientific facts about the population level distribution. Damore: Not really. I mean, these are empirical facts. Kovach: That have also been disputed by the same people you cited who wrote it. For example, one of the articles or researchers you cited came out in Psychology Today and said, very clearly, that what you cited doesn’t apply to the situation at Google. So, I mean, there’s still debate going on there. It’s not empirical fact. Damore: He mentioned that we shouldn’t treat individuals differently. And that I agree with. But the population level distributions are not up for debate. Those have been documented hundreds of times. So I feel like you’re misrepresenting the actual science. And misrepresenting what he said in Psychology Today. Kovach: And how do you think that made women feel within Google? Damore: There were many women who were empowered and that agree with me. Kovach: You heard from women who said they were empowered by what you wrote? Damore: Yes. Because they are tired of this narrative that puts them as a victim and that constantly acts as if women are different coders and that we should treat them differently, when really everyone is a coder and we should just treat people as individuals and not concentrate on what their race and gender is. So how do you respond to someone like this within your group of former colleagues who feel that way? Damore: I would simply point out that there are Google programs that go even further than what my document was stating. In that it does stereotype women, and it treats women completely differently based on some of the core findings that I had about agreeableness and just how cooperative women are. They stereotype women already. And that was something that I was trying to actually stop. Damore: Yes. Google stereotypes women. They have women-only programs that are specifically for some of the traits that I mentioned, and that was why I mentioned those personality traits and that there’s so much overlap. Because, yes it does help the women that have those traits, but many women don’t, and there are many men that do have those traits that don’t get the support that they need. Kovach: Right. And I think that’s part of the discussion that people I’ve spoken to within Google do think could be addressed. I think even Sundar Pichai’s memo last week kind of addressed those issues. He even admitted, “OK there are some better things we could be doing on that side to make sure everyone feels included. Including men. Including conservatives.” So I don’t think many people are disputing that aspect of it, right? Damore: I really have to wait until they actually do something. They can obviously say whatever they want and say that they’re going to help conservatives. But these have been longstanding complaints. And there are lawsuits against Google about this already. So to say that they’ll just make some basic PR statement and that that’ll change everything is misguided. Kovach: Are you referring to the gender pay gap lawsuit? Damore: No, there are lawsuits against Google for a lot of these discriminatory practices against conservatives. Kovach: Why do you think you were fired? Kovach: Can you elaborate what you mean by that? Damore: There is a dominant ideology at Google, and anyone who dissents against that is either shamed or ostracized. And when it became apparent that I wasn’t backing down to the shame, they had to fire me. Do you think your memo complied with the code of conduct? Damore: Yes. And it was actually pointing out several practices at Google that went against the code of conduct. So there are many practices that harass conservatives that have illegal bias against certain groups. And I was simply pointing them out. And much of this is whistleblower stuff where they really should not have fired me for pointing out illegal practices at Google. Kovach: I’m a little confused. So you say there are two reasons? You were fired for your point of view and because you pointed stuff out that they did that you view as illegal? Damore: Yeah, there may have been multiple reasons. They’re mostly related to me having a dissenting view against their ideology. Kovach: So you think despite their stated reason for firing you, you don’t think that’s their true reason? Kovach: So that was a lie? Damore: They can say whatever they want in PR. It’s well known that PR statements aren’t really the ground truth. 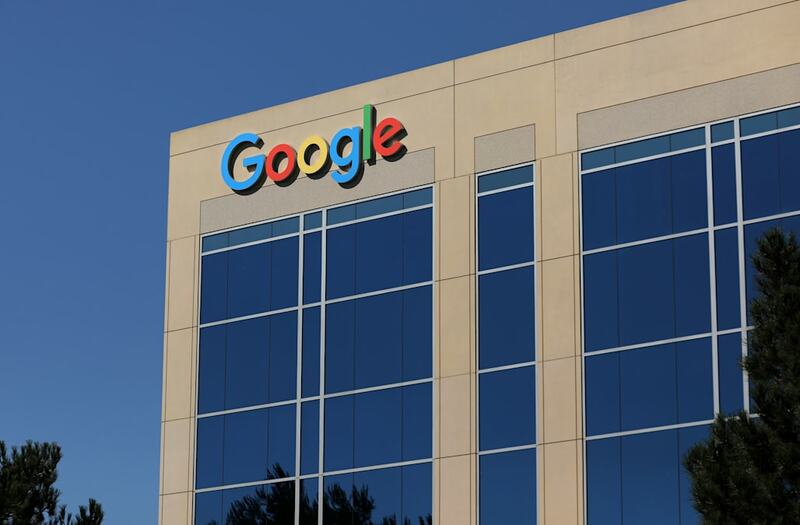 Kovach: The last thing I want to talk about is you said you didn’t get fired until the memo leaked out and went viral, and that is one of the reasons Google had to take action and fire you. Do you still believe that? Damore: Right. If it didn’t leak out and there wasn’t external pressure, then they may not have fired me. I’m not sure. Kovach: Do you have any evidence that people in leadership had seen the memo or knew about the memo prior to it leaking out? Damore: I’m pretty sure they knew about it before it leaked to the public because it was viral within the company. Kovach: Right, but it’s a massive company. Part of your legal claim is based on this, right? That [Google’s leadership] knew that this memo existed and the only reason why they took action was because it became a thing outside of the company. Do you have evidence that they saw it and knew about it and didn’t take action on it? Damore: Yes. My vice president. He wrote a public post about it disparaging me and shaming me. Kovach: This was before or after it leaked? Damore: This was before it leaked. And there were many people who were emailing HR and all of my upper management to try to get me fired. Kovach: OK, so you say your direct VP already knew about it before it became public. Kovach: The last thing I want to ask, I know you’ve been asked this a lot but I’ll ask it again: legal proceedings, legal cases. I know you say you intend to do one. Do you have a lawyer? Any updates on that? Damore: I have a lawyer but we’re still at the beginning stages. Kovach: But you have someone representing you and you plan to file a lawsuit of some sort? Damore: Yeah, but we’re still at the beginning stages so [we're] evaluating stuff.